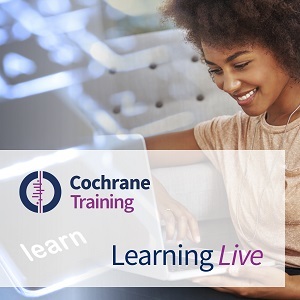 A Cochrane Learning Live webinar on common statistical errors in Cochrane Reviews was organized by the Statistical Methods Group, with support from the Cochrane Learning and Support Department. The topic was presented by Dr Kerry Dwan, Statistical Editor at the Cochrane Editorial Unit (CEU). The CEU quality assurance team has been screening new reviews against key MECIR standards since September 2013. During the course of this work, it has become notable that many of the same errors frequently occur in the Data and Analysis section of the review. This can have a serious impact, as even the smallest statistical error can change the interpretation of the results. Examples of these common errors include data extraction errors, Unit of Analyses errors, and inappropriate methods of performing Subgroup Analyses. The webinar was delivered in November 2017. Presentation and exercises from the webinar are available below.